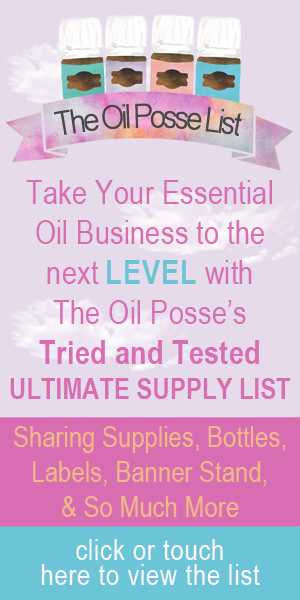 We often read via Facebook groups Young Living members asking, “what is the best way to ship samples?” or, “what is the best way to ship sharing packages?” and so on and so forth. This information is mainly for Young Living members residing in the United States but some of the information may be helpful to those in other countries. We hope this blog post will help answer these and other questions you may have about sharing and shipping. When sending samples padding is always, always your best friend! Padded envelopes are wonderful and will help protect those precious samples. For added protection, for certain sample bottles, save the tubes that your Young Living essential oils are sent in, cut the tube down to just slightly larger on both ends than the oil bottle you are sending, put the bottle in the newly sized tube and pinch both ends to keep the bottle from slipping out. If you find the tubes difficult to work with, you can wrap the bottle in a small amount of bubble wrap instead before placing in the padded envelope. We are often asked how we send samples with the potential to spill or melt (small spray bottles, lip balm, etc.). We place the bottle/sample inside a small zip top plastic baggie with a folded paper towel. Zip the baggie up tight then wrap it inside one layer of bubble wrap. We then place this inside the padded envelope. Anything that has the potential of spilling/melting we do this with . . . granted, “knock on wood,” many members say they have not had any samples spill and/or melt by simply placing it in the padded envelope, but ask yourself this, “if I were receiving a sample package from someone would I like it if I opened it up and was whacked in the face with a strong scent and then had to clean up whatever mess was inside that envelope?” That would not make for a good impression and would probably not lead to future purchases. People are often impressed by those who go the extra mile to be respectful and considerate of potential issues. So, better safe than sorry, right?! Okay, now that you have your samples ready and your package ready to ship, how can you best ship it? We are giving this advice based on the assumption that you have a printer at home. If you do not, we highly recommend purchasing one. Printers have come way down in price and you can get a fairly inexpensive printer now. In the main Oil Posse team office we have >> THIS ONE << because it takes up the least amount of space and covers our most basic needs (copying and printing). We use PayPal shipping to print our shipping labels and you can even print first class mail using PayPal shipping! If your padded envelope weighs 12.99 ounces or less you can ship it via first class mail within the 50 united states. If your package weighs 13 ounces or more you may want to place it in a USPS flat rate priority envelope. You can order those via USPS website and they will be shipped right to your home. We always have some on hand. We use a basic shipping scale to weigh the majority of our packages. >> THIS << is one of the postage scale we use most often. You can use >> this link << to go directly to PayPal Shipping but you will need to log into your PayPal account to use this feature. Now that you have your package labeled and ready to ship you may question what do you do with the envelope? If you live in an area where you have your own mailbox you should be able to fit the envelope in your mailbox and raise the flag. If the package does not fit in your mailbox then you can (1) drop it in a USPS blue box, (2) or drop it off at your nearest post office. If you live in an area where you have “cluster mailboxes” then you may be able to request a package pick up. You can do this through the USPS website via >> this link. << Here is another tip, if you are shipping a priority package of any kind, you can request a package pick up, even if you have a mailbox at your home! Yup, sure can. As long as you have one priority package you can request a pick up for that and as many first class packages as you desire to ship! Use the same link as provided above to request a package pick up. If you will not be home, work outside of your home, etc. Get to know your neighbors, chances are you will have a “stay-at-home” neighbor that you may be able to leave your packages with and request the pick up at that address. Depending on where you work you may be able to request a package pick up at your work. Lots of options, find one that works best for you. Bottom line, you probably do not need to pay a monthly service to ship your packages. We’ve never paid a monthly fee to ship packages and we ship A LOT of packages almost daily. Still have questions? Comment below and we will do our best to answer your question(s). thanks for all your helpful posts! Love getting them and sharing our oils! What is the advantage to using PayPal Printing as opposed to USPS? PayPal Shipping allows first class and media mail packages where shipping via “Click and Ship” on the USPS website does not. Most sample packages in a padded envelope are 12.99 ounces or less, which qualify for first class postage. Hope that helps and thanks so much for writing. When ship at the post office they always ask if you have liquids? What do you say if shipping samples? We actually print our labels at the office. We mark our packages “DO NOT CRUSH” and then also put “LIQUID.” We arrange for a package pickup so we do not have to go to a post office, at all. Always, always be honest and let them know there are liquids in the package. Does paypal get a percentage? When I compare postal fees on postage machine at work and but use that same weight on paypal shipping, it’s about $0.95 more. We, along with hundreds of other members, have compared between PayPal shipping and the post office and have found zero difference in price. We have heard some say they were charged more at the post office because the post office scale was weighing slightly more than their home scale. I have no clue why you are getting a difference unless your work receives a discount of some sort?